Nutriment is the source of life. 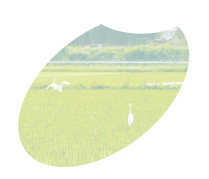 we produce our rice in Hyogo Prefecture, Sanda. we collaborate with the farmer who cultivates the best rice for your family. aiming for babies to taste only the original and gentle flavor of rice. Babies cannot choose what they eat. It is our responsibility to provide the safe food to protect their sensitive body. The reliability of our rice is proved by the radioactivity measurement inspection and pesticide residue inspection. 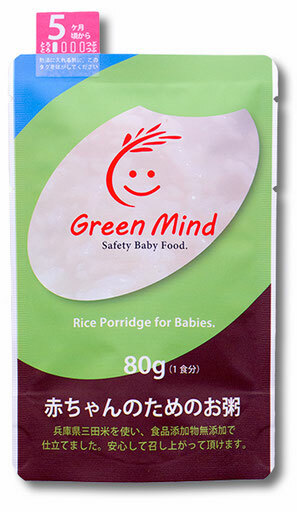 baby food is rice porridge made from white rice. ●Standard: The passage from breast-feeding to baby food. ●Standard: The middle period of babyfood. Babies can eat the food by smashing between tongue and upper jaw. ●Condition: Soft and syrupy with little amount of boiled pieces of rices. ●Standard: The end of the middle period of babyfood. During this period, babies can use their gums to smash the food. ●Condition: Soft and boiled rice mixed with slightly syrupy porridge texture. ●Standard: Latter period of babyfood. It is the state before babies are able to use the tongue properly. With the help of their teeth and gums, they can chew. ●Condition: Soft and boiled rice porridge. 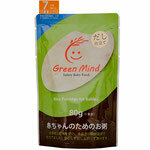 There is now also a rice porridge cooked in Japanese dashi (stock). In the end of the middle period of baby food , it is necessary to add the taste and flavor of dashi which is indispensable to Japanese food. The dashi made from bonito flakes (katsuo bushi) and kelp (kombu) serves as creating foundation of the fifth taste or UMAMI. 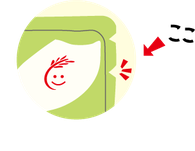 ■ Warm it up or eat right away, as you like. 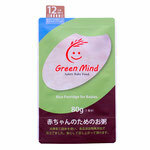 Made by specially selected tasty rice, rice porridge was poured into the packet while it was still hot. As a result, although the rice porridge cools down in the pocket, the sweetness of the rice remains. ■ Pour into a bowl or just open the packet and spoon it up! This vacuum pack is really convenient to just spoon. And there are two slits. Since it is made for babies, other flavors are not being used. That way, the baby can eat rice porridge everyday combining with other tastes as you like. Rice porridge can go together with other mama’s foods. ■ How to save unopened package? Keep away from direct sunlight, high temperature and humidity. Keep it in room temperature. Shelf life is 6 months. ■ How to store opened package? It is recommended to consume opened package as soon as possible. But since babies’ appetite might differ, you can preserve it for the next time. If the amount is big, you can divide and save it in refrigerator beforehand. Please consume it on the same day. You can also save the rest of it in a freezer for the next days. 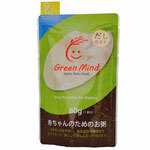 Copyright © 2012-2013 Green Mind Co., Ltd. All rights reserved.